Like our standard Victorian, Victorian Large architraves add a great feeling of authenticity to any period property owing to its ornate appearance. If you are looking to add an elaborate piece of decor to make a greater feature of your doorway, a Victorian Large Architrave border will do this. 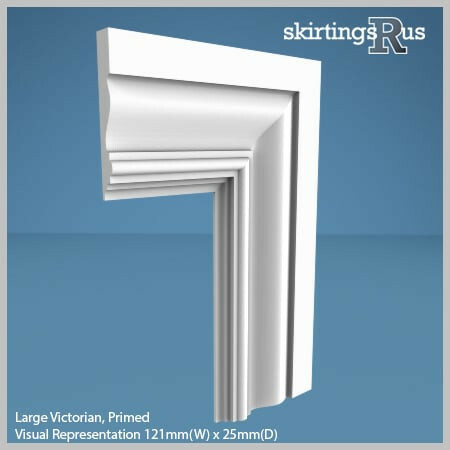 Should you need smaller architrave then check out our standard Victorian Architrave. 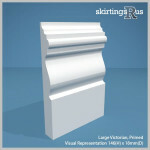 We only recommend using Victorian Large architrave where Victorian Large skirting boards are also being used. 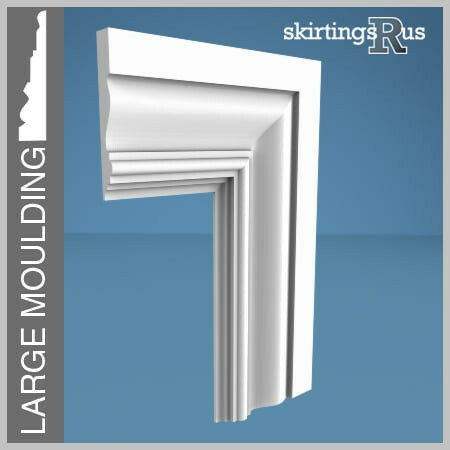 Our Victorian Large architrave is made of a high density, moisture resistant (MR) MDF. Victorian Large MDF Architrave is available in a variety of set dimensions. We can also offer bespoke architrave widths at no extra cost. Height – Victorian Large can be machined to 2 widths, 96mm and 121mm. 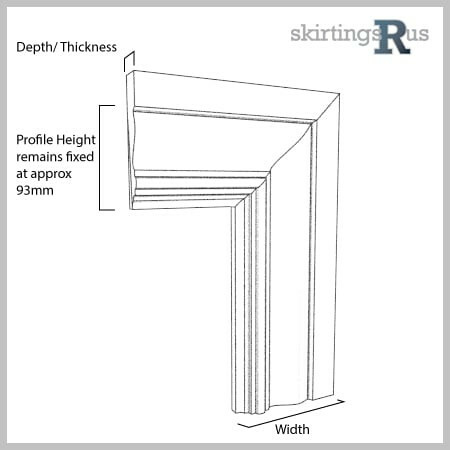 Length – Victorian Large architrave can be supplied in either 2.440, 3.050m or 4.2m lengths. Our Victorian Large MDF architrave is produced in house in our midlands based factory and is machined to order from the specification options above. If you can’t see what you’re looking for, then you should know we can cut to any size and undertake bespoke requests. For more information visit our bespoke page or feel free to give us a call!